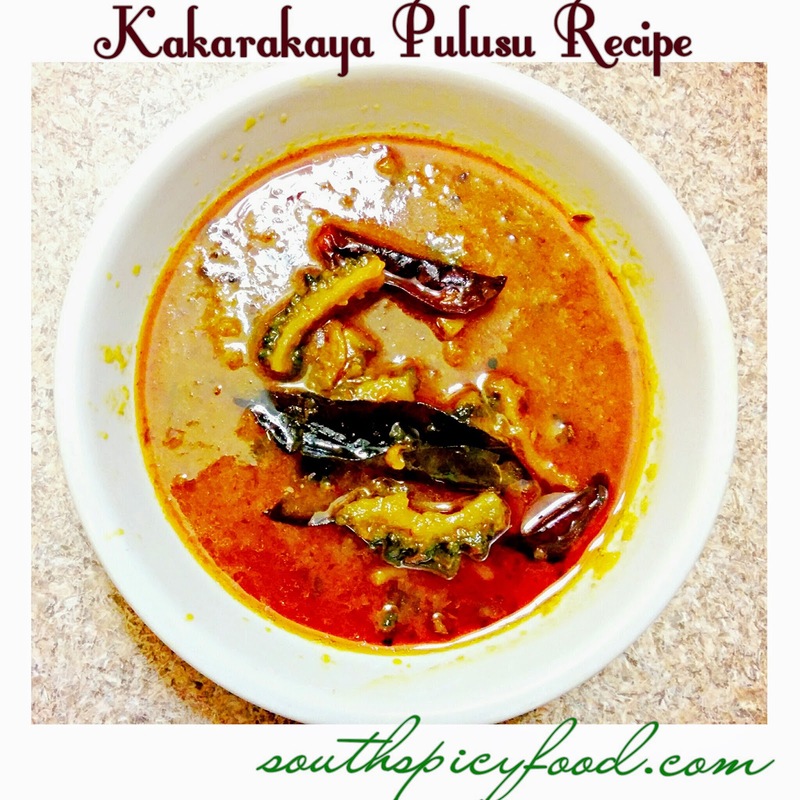 Kakarakaya pulisu Recipe is a soup with fried onions and other spices.This variety is very popular in Andhra..
Wash and remove seeds from kakarakayalu or bitter guard, cut the bitter gourds into medium sized pieces or circle shape or semi circle shaped pieces. Take oil in a pan, add mustard seed and zeera. when they splutter, add onions. Fry onions for a while and then add ginger garlic paste. Now add curry leaves, green chillies and cut karela pieces.Saute karela(kakarakaya) for 5 min's. Take tamarind to a bowl add some water, extract juice from it. Now add salt, turmeric powder,coriander powder,zeera powder and red chili powder. Mix well. Now add extracted tamarind juice. Mix well, add some water and cook on a slow flame with cover lid for 10 min's. Add jaggery or sugar. Cook untill it reaches to gravy consistency or pulusu consistency. Add coriander leaves. Serve hot with rice.